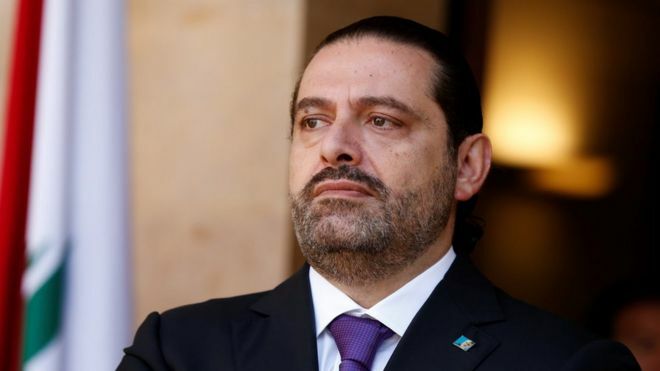 Lebanese Prime Minister Saad al-Hariri has resigned, saying in a televised broadcast he feared for his life, while also fiercely criticising Iran. Mr Hariri accused Iran of sowing “fear and destruction” in several countries, including Lebanon. He was named prime minister in November last year, after previously holding the position between 2009 and 2011. Mr Hariri also attacked the Iran-backed Shia movement Hezbollah, which wields considerable power in Lebanon. He has made several visits in the past few days to Saudi Arabia, whose leadership is strongly opposed to Iran. Taking up the prime minister’s office last year, Mr Hariri promised a “new era for Lebanon” after two years of political deadlock. Mr Hariri’s resignation has come as a big surprise, plunging Lebanon’s often turbulent political scene into new uncertainty. He has had a complicated political career, moving to and fro between Lebanon and Saudi Arabia – his family’s key backer. His resignation follows recent visits to the Saudis, raising speculation that their influence is likely to be at play. Certainly, his ferocious denunciation of Iran and Hezbollah, which his own militia once battled unsuccessfully on the streets of Beirut, is in line with Saudi policy.